On the third floor of the Spokane County Courthouse, Court Commissioner Steven Grovdahl weighs what to do with an Eastern State Hospital patient who is accused of assaulting a hospital staffer — by alleged attempted strangulation. The man, David M. Campbell, was committed to Eastern through a court order to undergo 180 days of treatment to restore his mental competency so that he can face charges in another case. He sits at a table in the Spokane County Jail in a prison uniform alongside a public defender and the prosecutor on the case, communicating with the judge and an attorney representing Eastern through a live video stream that is displayed on a television in the courtroom. Meanwhile, Campbell’s public defender, the prosecutor, and staff with Spokane County Jail’s mental health staff argue that the aging and overcrowded correctional facility is not equipped to serve to treat him as is required under the standing court order. “We’re not a treatment facility,” says Amy Hood, a mental health professional with the Spokane County Jail. Eventually, the judge orders that Campbell be sent back to Eastern, and he’s released that same day. While individual law enforcement officers already have broad discretion when assessing whether or not to make arrests, it's standard practice for deputies with the Spokane County Sheriff's Office — the agency that provides policing services to Medical Lake, where Eastern is located — to book patients who assault hospital staff into jail. "Most people who commit violent felony acts are going to be arrested and booked into jail," says Mark Gregory, a corporal with the Spokane County Sheriff's Office. "We're not doctors." The rule change pushed by public defenders wouldn't absolve patients of facing potential criminal charges later. Instead, it would provide law enforcement with an explicit legal endorsement to keep patients at hospitals (like Eastern) to avoid disrupting their care while prosecutors decide whether or not to file charges. “In most cases, they’re going to be returned — because they are mentally ill and not incompetent — to right back to where they came from,” she adds. Keeping patients who allegedly commit crimes at psychiatric hospitals is "more cost effective and less stressful and traumatic for the mentally ill individual,” Hedman says. Kristie Ray, supervisor of Spokane County's jail mental health staff, tells the Inlander that booking psychiatric patients into jail is detrimental to their mental health, and, ultimately, their recovery. She adds that while jail mental health staff try to ensure that any patients that get booked continue to receive their medication, they don’t always stock the full gamut of drugs that the hospital has. Additionally, the process of transporting and booking patients can be disruptive to their scheduled medication treatment, Ray says. “As far as missed medication, you have to think about the time process. By the time that they get transported down to the jail, you’re talking about hours,” she says. Lt. Hooper at the Spokane County Jail also points to the impact that the cycle of arresting and releasing Eastern patients has on county jail transport staff. With severely mentally ill inmates, additional transport officers are required to bring a patient back to Eastern. “It would be above and beyond our normal duties. Typically it would be an overtime shift,” he says. 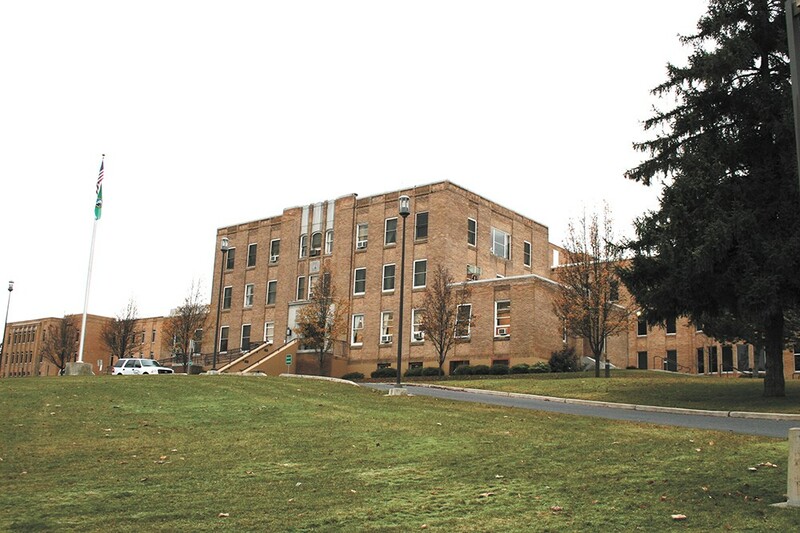 Officials with the state Department of Social and Health Services, the agency that oversees Washington’s psychiatric hospitals, argue that staff at Eastern generally only call the police and press charges when they deem that a patient was relatively stable and cognizant of their actions. Factors such as whether or not the involved patient was on psychotropic medications at the time of the incident are considered. Currently, staff at the hospital are able to place aggressive or violent patients in "seclusion rooms" or restraints if preliminary de-escalation techniques fail, Murphy says. Some critics of booking aggressive patients have pointed to these tactics as evidence that the hospital has the ability to control patients and doesn't need law enforcement to forcibly remove them from the premises. However, Murphy says that federal law prevents them from utilizing these facilities beyond immediately incapacitating a patient while they weigh wether or not to call law enforcement. “I’ve known this individual for quite some time and it was the worst that I have ever seen him,” she says. Andrew Biviano, a local defense attorney who has had both patients and employees at Eastern State Hospital as clients, says that assaults at the facility are a “big issue” for staff that pits the interests of employee safety and patient well-being against each other. The amendment that public defenders — including Reardon — have been pushing for in Olympia hasn’t yet caught the attention of lawmakers. It has yet to be voted on to get added to the bill, which has passed the Senate, and now sits in the House Appropriations Committee. “This particular amendment seems to have dropped through the cracks,” Hedman of the Washington Defenders Association says. Rep. Laurie Jinkins (D–Tacoma), a prime sponsor of the House version of the bill that defense attorneys seek to amend and a member of the Appropriations Committee, tells the Inlander that the proposal will likely be put on the back burner. "I don't have any objection to the policy they're trying to get," she says. "[But] it's most likely that that's going to have to be a bill for next year." This post has been updated to correct assertions about patient medication scheduling.